I know it's really rainy the past weeks so climbing mountains isn't really a good idea. But now is also the perfect time to prepare for such a climb. If there's enough sun, running/jogging is a perfect cardio workout to get your heart pumping. If you have to stay indoors, however, hitting the treadmill or exercising with a jumping rope will do the trick for you. Of course, weights will help tone your muscles (and would come in handy in case you have some rope-climbing/bouldering to do) and lunges will help keep cramps away. 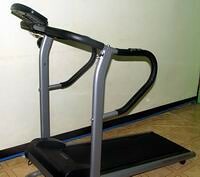 It is also very important to exercise regularly and challenge yourself continuously by, say, increasing the speed or incline in your treadmill, or doing more laps around an oval. This way, you increase the chances of actually enjoying your climb instead of panting and gasping for breath at the end of the pack.